Atlantic and Rhino Records have set a new Aretha Franklin collection that spotlights a massive three year period in her career. The Atlantic Singles Collection 1967-1970 will be available as 2 CD and 2 LP sets on September 28th. The collection will also be available for digital download and via streaming services. 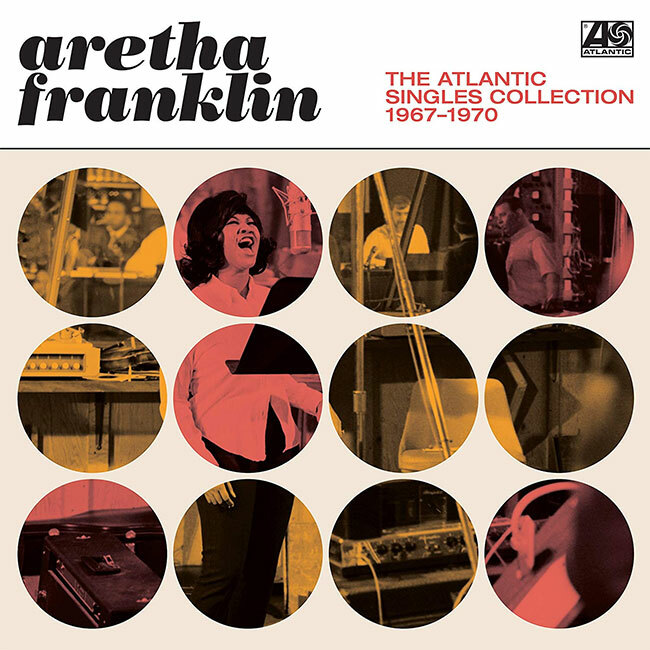 The Atlantic Singles Collection 1967-1970 features 34 singles which Franklin released during her first three years with Atlantic Records. The track listing for the vinyl version has been shortened to fit the LP format. Arranged chronologically, the songs on the new collection originally appeared on six studio albums: I Never Loved A Man The Way I Love You (1967), Aretha Arrives (1967), Lady Soul (1968), Aretha Now (1968), Soul ’69 (1969), This Girl’s In Love With You (1970), and Spirits In The Dark (1970). The only exception is Franklin’s cover of Elton John’s “Border Song,” which was released as a single in 1970 and later appeared on her 1972 album Young, Gifted and Black.